How do you know when your song is ready to mix? For the next 10 days, I’m going into “mixing” mode. I’ll be posting a BUNCH of articles and videos on mixing. Why? Well, for one thing I love mixing. It’s such a fun, creative process. 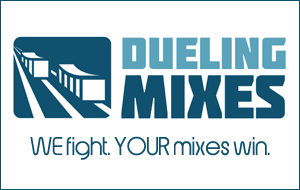 Secondly, I’m launching MixWithUs.com again. It’s happening on Monday, April 19th. For those of you who don’t know what MWU is, it’s a mixing community, where I, over the course of 10 weeks, give you the multi-track audio files from my entire album I released last fall, in addition to training videos on how I mixed each song. I’ll be posting more details later…but get ready to join. It’s gonna be awesome. How do you know when you’re ready to mix? You’re working on a song. You’ve recorded all the main parts. You’ve recorded all the fun little extras, like percussion and background vocals. You’ve tracked the lead vocals…so…is it time to start mixing? How do you know when you’ve got all the tracks you need? How do you know if you need to add a few more? If you’re not sure if you’re ready to mix, then there’s a chance you didn’t really do much pre-production on the song. I’ve talked about the importance of pre-production before. Pre-production is simply a fancy word for planning. Do you record demos of the songs you’re working on? Do you listen to them in their simplest state before you start tracking everything? You should. I know some styles of music don’t lend themselves to demos as much as others, but with any project, you’ll be doing yourself a favor if you take some time to make a plan. You don’t have to know exactly what you’re going to do for everything on the song, but you need to have a direction for how the song structure will be and how you want the finished song to sound. If you don’t have any sort of vision, you’ll just keep adding random instruments and parts, hoping to land on something that sounds nice. I’m not saying you don’t need to experiment in the studio with different creative ideas, but at some point you should have some sort of idea of how you want the finished mix to sound. Once you’ve added all the parts you need for that final mix, you’re ready. (Sounds obvious, right?) If you begin with a plan, then you’ll know when you reach the end. If you’re doing a good job of capturing the source well, then your session should sound pretty good, even before you start mixing. Is it sounding full and “close” to the finished project you imagined? If so, you’re probably ready to mix. Does it sound like it’s missing a lot? Then you’re probably not ready to mix. Mixing won’t make up for incomplete production. Is the performance a little sloppy? Are there some out-of-time parts? If you find yourself trying to come up with stuff to add to your mixes just for the heck of it, you might be done. Listen to what you have. If there aren’t glaring empty spaces, then you may very well be ready to mix. I would suggest getting out of “recording” mode once you start mixing. Sure, I’ve stopped a mix to record a quick background vocal part, but normally I try to be completely finished with recording once I start mixing…otherwise it will take me forever to mix it, because in the back of my mind I’ll know that I can always go back and record some more parts if I need to. Burn the bridge. Once you’re done, be done. And have fun mixing! Comment Question: How do you know when you’re ready to mix? Leave a comment and let us know.